The Intellectual Foundations of Christian and Jewish Discourse argues that the Judaic and Christian heirs of Scripture adopted, and adapted to their own purposes and tasks, Greek philosophical modes of thought and argument. The authors explore how the earliest intellectuals of Christianity and Judaism shaped a tradition of articulated conflict and reasoned argument in the search for religious truth that was to be shared through continuing that argument with others. 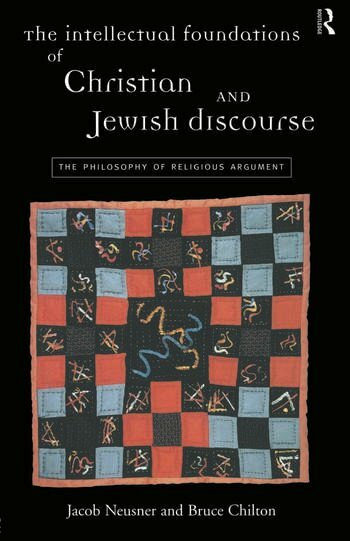 Neusner and Chilton examine, using the formative sources of Judaism and Christianity, the literary media of adaptation and reform: precisely where and how we identify in the foundation writings of Christianity and Rabbinic Judaism the new opposing modes of articulated conflict and reasoned argument that through Christianity and Judaism, Greek philosophy and science bequeathed to the West. Jacob Neusner is Distinguished Research Professor of Religious Studies at the University of South Florida and Professor of Religious Studies at Bard College New York. Bruce Chilton is Bernard Idding Bell Professor of Religion at Bard College, New York.